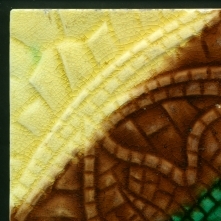 Minor rim chips, rubbing to high points. 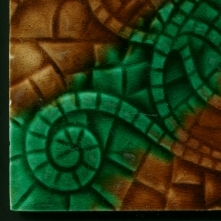 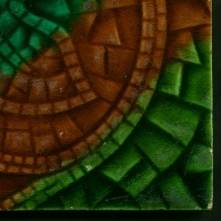 A not often found tile and the first design registered by Corn Bros. As this example the design usually found with banded glazes a decorating technique mostly used by Pilkington amongst english tile makers though more often found in the USA. 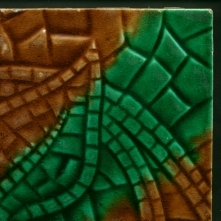 Verso very clean, embossed England and registration number, painted pattern number.